In the tranquil ambience of our spa, our experienced therapists ensure your physical and mental well being through a holistic programme of traditional Ayurvedic massages and beauty treatments that help you de-stress, detoxify and rejuvenate yourself. 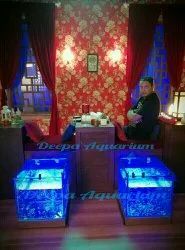 Relaxing Body Spa with Oil, Energising Body Spa with Cream, Polishing & Whitening, Full Body Polish and Bleech. Engaged in the providing services such as facility of spa. 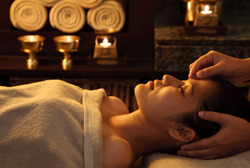 VLCC DAY SPA is the place to retreat from the chaos and pressures of daily life and unwind. We understand the toll that the stress of a modern lifestyle can take not only on your body, but even your soul and senses. First introduced to India by the ancient Silk caravans from the Orient, tea has since also been used for its skin nourishing properties. An exotic therapy with our indigenous Green Tea scrub, rich in anti-oxidants that nurture and repair your skin. We provide professional hair spa services and renew C for hair repairs.